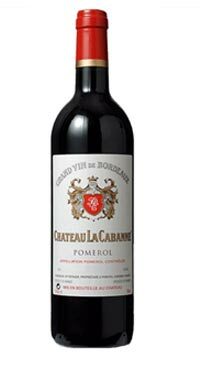 Chateau La Cabanne is a 9 hectare garage type winery in Bordeaux’s Pomerol region owned by the Estager family since 1952. The name goes back to Gallo-Roman times when the serfs who worked the vineyards here in the 14th century lived in cabins (cabannes). In 2010 a fire destroyed much of the property and all of the 2008 vintage was lost. The estate has since recovered and replaced winery equipment and continue to produce wine at a very high quality level. Their Pomerols are fresh, silky and delicious. A blend of Merlot and Cabernet Franc.